Early in World War II, fifty obsolete US Navy destroyers were transferred to the Royal Navy in return for a 99-year lease British bases in the Caribbean, Bahamas and Newfoundland. Though they were obsolete and far from ideal, they played a vital role in the Royal Navy's campaign. This is their complete story. 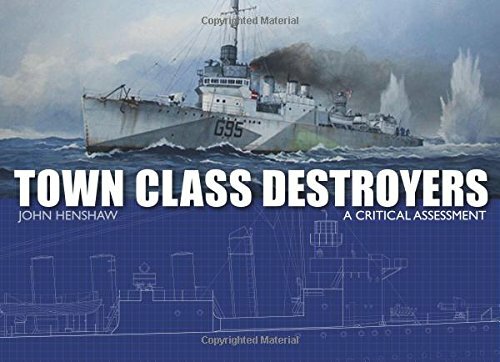 Topics covered include the background to the acquisition of the ships - the Battle of the Atlantic; their specification and design, and modifications in RN service; operations and achievements, such as the St Nazaire Raid and finally, losses and accidents. This authoritative text is supported by many contemporary photographs and twenty eight detailed plans prepared specially for this book.